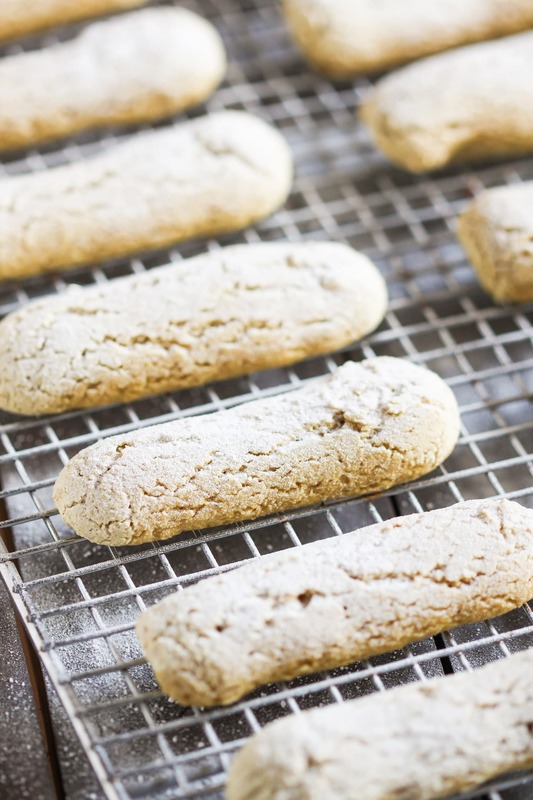 Ladyfingers are a classic cookie/biscuit that is shaped like a finger (sort of, haha). When people hear Ladyfingers they usually think of Tiramisù or Trifles… it’s not often that people will snack on Ladyfingers alone. Surprise, surprise, though, these Healthy Homemade Ladyfingers are not only delicious in homemade Tiramisù, but they’re delicious on their own too! These Healthy Homemade Ladyfingers aren’t super dry and crunchy and crumbly like the stale, prepackaged kinds that you would find at the grocery store. These are sweet, spongy, and full of flavor! Oh, and another difference? These are actually good for you too. Thankfully, these Healthy Homemade Ladyfingers were a success on the first try. They’re firm on the outside, soft and spongy on the inside. 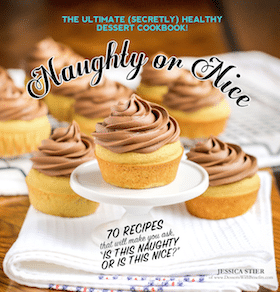 Perfect for snacking, but also perfect for layering in desserts like Trifles and Tiramisù! 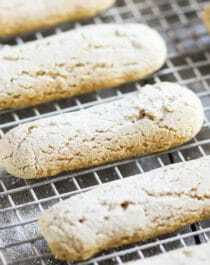 These Healthy Homemade Ladyfingers are sugar free, low fat, gluten free, dairy free and vegan. Tastes better than storebought and works well in Tiramisu! Preheat the oven to 350 degrees Fahrenheit, line a cookie sheet with parchment paper, and prep a large pastry bag with large round tip in a tall glass for easy filling. 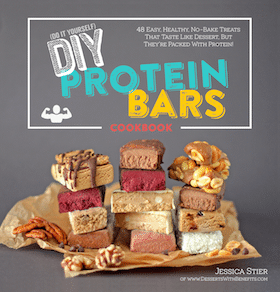 In a large bowl, whisk together the almond milk, erythritol, applesauce, stevia extract, and vanilla paste. In a small bowl, whisk together the oat flour, sorghum flour, starch, baking powder, salt, xanthan gum, and turmeric. Dump over the wet ingredient and fold together until completely even. Scoop mixture into the prepared piping bag and pipe 4″ lines onto the prepared cookie sheet. Pipe the fingers 2″ apart as they will spread a tiny bit. Bake for ~9-10 minutes, or until the fingers are firm when tapped. Slide ladyfingers onto a wire cooling rack, dust the fingers with powdered erythritol, and let cool completely. Compared to storebought, my Healthy Homemade Ladyfingers are higher in fiber, higher in protein, and whole grain and sugar free too! That means that these will keep you fuller for longer than those processed, sugary “things” at the grocery store. WOW. This blew my mind. I made a pretty epic vegan tiramisu the other (which I will blog about soon) but had to use Bourbon biscuits because I just could not find ladyfingers. At all. What’s up with that?? I’ll definitely try these — I bet they’d be lovely in a trifle! Can we grind erythritol to make powder?? or use swerve, even Truvia? Truvia is 2x as sweet as sugar so I wouldn’t recommend using that here. For the 96 g (1/2 cup) Homemade vanilla sugar OR (dry sweetener of choice), do you have any suggestions as to what i can use for the dry sweetener? I’m unfamiliar with alternate options. If i was to use powdered Stevia for example, the conversion chart says that i need only use 1/2 tsp for 1/2 cup of sugar. Is this accurate? Would it be okay to use 1/2 cup coconut sugar instead of 1/2 cup homemade vanilla sugar? I haven’t tried coconut sugar here but it MAY work. Erythritol and vanilla sugar can be substituted with other granulated sweeteners at a 1:1 ratio. Powdered stevia won’t work because it doesn’t have the bulk that 1/2 cup of sweetener has. How do you make these without a piping bag…or is that impossible? 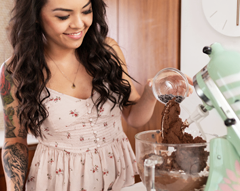 THANK YOU THANK YOU for making this recipe vegan-friendly! I know what I’ll be snacking on very soon! Oh, thank you Jessica!. I will then try to find sorghum flour for this recipe! 🙂 !! !